Locks and doors go together, and let us assure you that door locks are the A to Z of your security. Not that windows are not high risk breaking-in points, but not all houses have accessible windows while they all have doors. Intruders will first try to pick the security door locks unless they see the ground floor window wide open (a great temptation for them). The point of this marriage between doors & locks is to keep burglars out. Undoubtedly, keys are part of this matrimony but they have no priority right now since many doors have keyless systems. We truly make great efforts to choose the right locks and all for one sole reason: to discourage intruders and keep them away from our property. If you are wondering what the fuss around doors and locks is all about, keep in mind that the quality of the door is as important as the quality of the bolts. 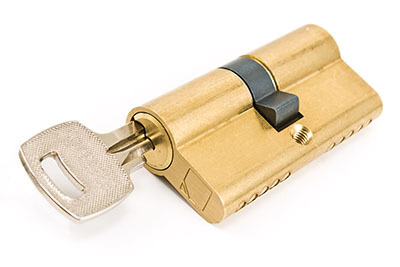 Resistant lock installation is of the utmost importance, but having a solid door is equally crucial. There is no point of you spending money on new resistant systems if the door can be kicked down. After all, doors have two sides. One side might be secured with the deadbolts, but intruders could also break the hinges at the opposite side. That's why it is important to have the hinges replaced when they are rusty. Doors must be made of strong materials and must not be hollow or they won't resist a push let alone kick-ins. When the hinges of the door are not in good condition, the door will sag. With the door sagging, deadbolt installation is cancelled. The lock might be excellent in terms of quality, but if the bolt is not aligned with the strike plate, the door won't lock. Door repairs are needed even if you have the strongest door. Hinges become loose after years of use and so the alignment of the door must be often checked. Door repairs are actually as important as lock repairs because if the door doesn't close right, the bolt won't lock. Next time you check the deadbolts, check the door, too. If you are going through the hassle of having the lock replaced, see if there is need to change or repair the door as well. It would be an excellent chance. Don't miss out on such opportunities because if you take care of the locks or doors only, you're simply breaking up the matrimony and all oaths given to you about eternal fidelity. They will betray you!